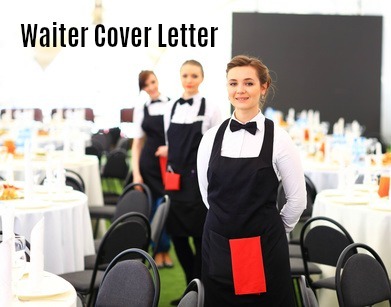 Use this sample waiter cover letter to convince the employer that you are the best person for the job. This is an opportunity to highlight any relevant experience and the skills and strengths you bring to the waiter position in a concise format. Your cover letter is designed to encourage the employer to give your job application serious consideration. Stand out from the crowd with a winning resume cover letter. I enthusiastically submit my application for the waiter position you recently advertised on XYZ.com. I am confident that my experience as an energetic and hard working customer-service professional will provide the skills you are looking for. I am forwarding my resume for your review and consideration. Track record of meeting and exceeding the needs of each customer in a warm and sincere fashion. A passion for food and a good knowledge of beverages. Skilled in keeping record of multiple orders and accurately processing payments. Proven ability to work well under pressure and in a team environment. Verifiable record of reliably completing shift requirements. I pride myself on welcoming and engaging each customer in a friendly manner, responding quickly to their needs and efficiently resolving any concerns they may have. I would welcome the opportunity to meet with you to further discuss the waiter job opportunity. These are the skills and competencies employers generally look for in a waiter, waitress or server. Use these phrases to build your own relevant cover letter. Proven ability to efficiently multitask to meet demands from customers. Solid working knowledge of hygiene and safety standards and regulations. Familiar with a wide range of food preparation methods. Proficient in handling a range of financial transactions with a high degree of accuracy. Able to deliver food promptly and professionally and provide excellent follow up service. Quick to develop a complete understanding of all menu items and ingredients. Skilled at communicating responsively with customers and clearly with other staff. Record of promptly and effectively addressing complaints and issues and providing the right information. Able to remain professional and calm in a high stress environment. 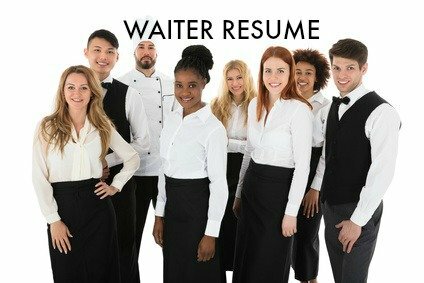 This waiter job description will help you to make your waiter cover letter relevant to the job opportunity.